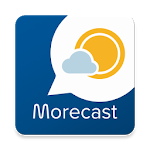 Morecast - Weather Forecast with Radar & Widget is your personal weather companion, that helps you prepare for upcoming Heat, Wind, Rain, Snow Storms and other severe weather conditions in USA and abroad. Precise weather forecasts are available at a street-level accuracy for your current location or favorite locations, including weather in New York, San Francisco, Chicago or Los Angeles for instance. Visualize by the minute precipitation on our weather forecast map. Weather radar shows snow, rain, temperature or lightning layers in real time. 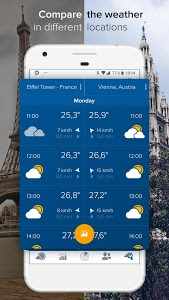 Get automatic weather updates on your home screen with our beautiful widgets. View current weather in your current location, in New York, San Francisco, Chicago, Los Angeles or any other location. Morecast offers a brilliant navigation feature to help you decide on the best route around weather conditions. Compare weather for two locations side-by-side, so you can always make the best decision. Preview live weather situations around the world by choosing from thousands of global webcams. Be a part of our great weather community and share your weather moments with fellow Morecasters. 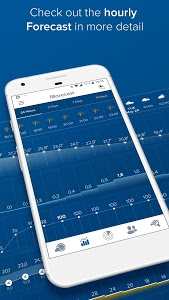 Visualize any weather situation in our easy to use interface with detailed hyper-local weather forecast in 24 hour, 3 day, 7 day and 14 day graphs. 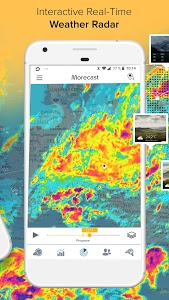 Morecast is an advanced Android Weather App with Doppler Weather Radar providing comprehensive weather forecast data by combining data from the local national weather services and from the Morecast Data Centers. We ensure you have the highest quality of meteorological data available, in order to alert you of upcoming Storms, Heavy Snowfall, Rain or Extreme Heat. Morecast also features community of avid users posting thousands interesting weather-related postings every day. 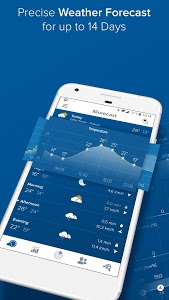 This free Android app includes the normally paid for features such as hourly weather forecasts, detailed weather radar, active user community, navigation weather, Android widgets, and webcams. App is fully localized to US English. 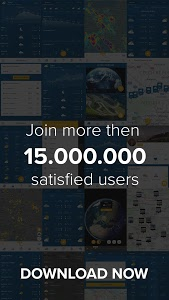 Morecast is backed by global weather forecasting data integrating more than 28,000 weather stations, radars all over the world, global satellite data and proprietary Morecast 3D lightning detection technology. 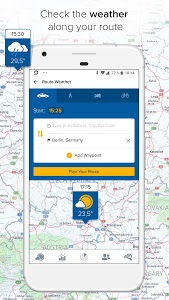 Enjoy the ad-free version of our premium weather app. Purchase now for USD 3.15 / Year! 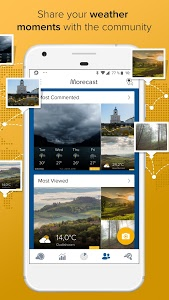 Similar to "Morecast - Your Personal Weather Companion"